after a weekend spent trying to figure out what i had to done to make my computer so angry i am once again up and running. and though my mac and i are not best friends at the moment we are on speaking terms and there is a good chance that our relationship will be restored and all out love will once again prevail. 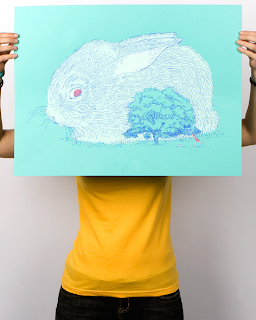 the following images are from the new wall art creations from threadless! i love threadless, i have loved threadless for quite some time now. they have the best t-shirts as well as the best outlook on life. 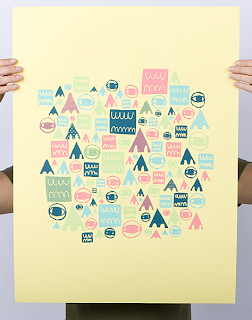 and now they are adding to their collection of bests with some of the best and most fun prints i have seen in a while. 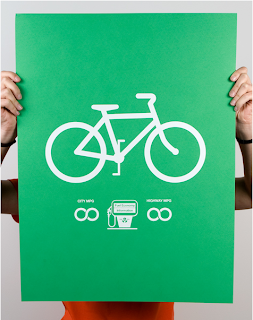 and that last one (the green bike) was printed by the lovely fellows of the post family.